Posted in Ben Carson, Chris Christie, Hillary Clinton, Jeb Bush, Marco Rubio, Mike Huckabee, Mitt Romney, Politics, Rand Paul, Republicans, Scott Walker. Tags: Ben Carson, Chris Christie, Hillary Clinton, Jeb Bush, John Kasich, Marco Rubio, Mike Huckabee, Mitt Romney, Rick Snyder, Scott Walker, Ted Cruz. RSS feed for comments on this post.. TrackBack URL. Scott Walker, and he’ll run against ‘Fauxcahontus’ – that’s my forecast – and y’all know how dependable they are! 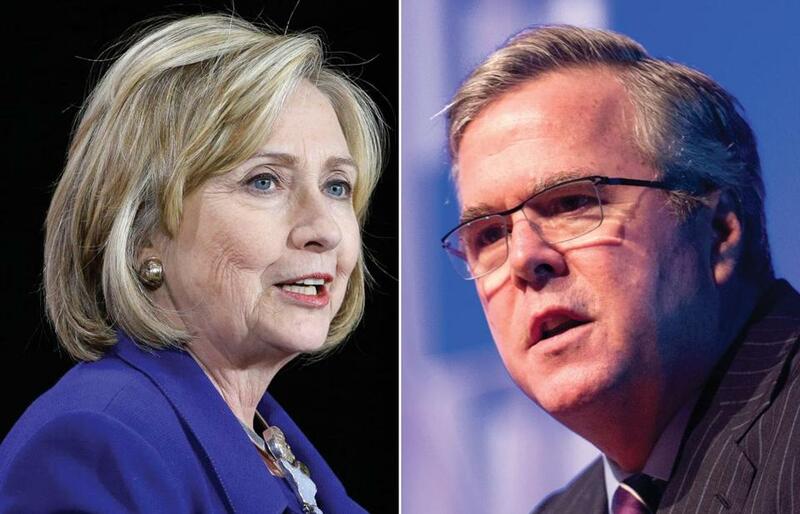 Political Rift » Clinton v. Bush, Again?